The timeline of publishing a book is always daunting. 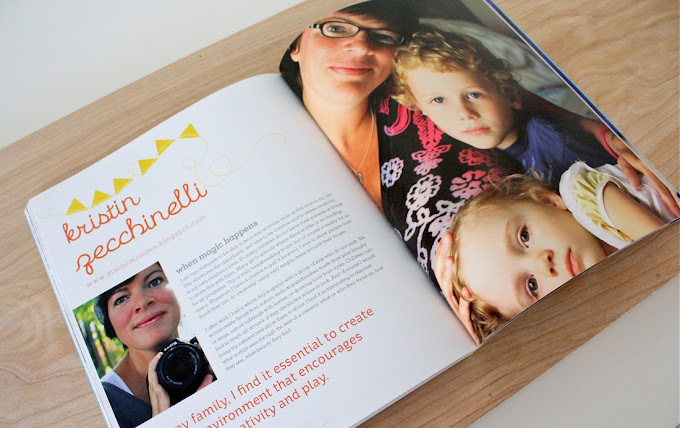 Two years ago I was asked to contribute to a really cool book about blogging moms. And today I’m finally sharing it with you! (Not the same as insta-satisfaction from a blog post. But seeing something printed in book form is pretty awesome). 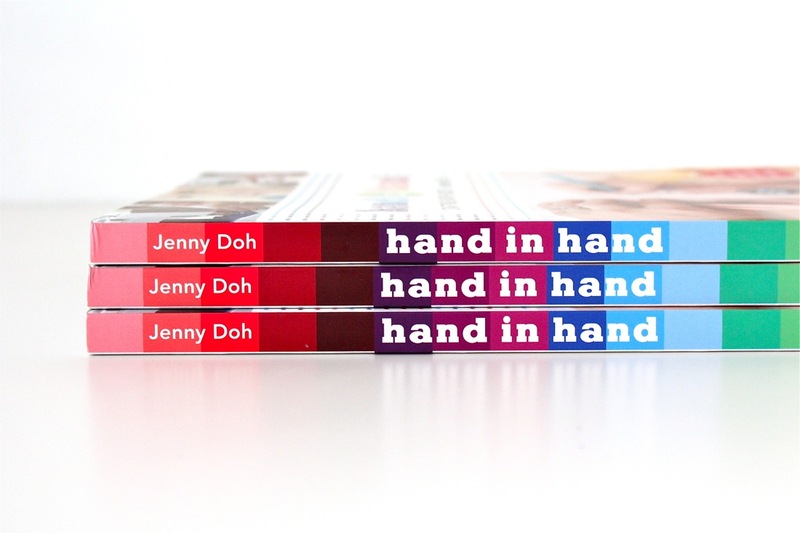 The book is called Hand in Hand: Crafting with Kids by Jenny Doh. And….it pretty much had me at the cover. From the splashes of color, to the embossed dots and title, to Owen’s little face at the top? !….all so cute. The book is about moms who blog, why they blog, how they balance family life, and how they inspire creativity in their kids. I was humbled to be asked to participate (and it was a good excuse to have photos taken with my kids by local photographer Rachael Penman.) And, I was totally shocked to open the book and find me and Owen sitting there on the front page. It’s weird to be in the pictures when so often I’m taking them. It’s a treat to read through the designers’ pages, to see how our creative brains relate to each other. From one mom to the next we all have so much to share and laugh about. And at the end of each feature, the designer shares a project as well. How cool is this lampshade and photo? (by Carly of Nest Studio) There are 20 different Bloggers and projects. Soule Mama…. The lovely Maya of Maya Made and Kristin of Maine Momma: And look, there’s Merrilee of Mer Mag (who just had a baby this week!). In a few pages I share part of who I am, embracing motherhood, and a list of rainy day crafts. Then the kids and I made Ornaments for Any Season! With potato stamps, paint, muslin, and twine we made little ornaments to hang around the house (or on doorknobs) all year long. More info in the book…. Also in the book, right after me, is….the same yellow sweater. Haah! Okay. Since I’ve gabbed on and on about Hand in Hand….would you like to try it out? Today we’re giving away 2 copies of the book, PLUS I’ll throw-in some ornaments. So…. Two winners get a book. • Leave a comment, that’s it! • Giveaway ends, Saturday 10/612 at 10pm (Central Time). This looks delightful! I’d love a copy. love that yellow sweater! 🙂 Thanks for the chance to win!! What a great book! It wouldn’t have been complete without you! So proud of you! You crafting moms are my heroes! I would love to explore the book and I LOVE door hangers. would love it. and always love a new hand made ornament! Looks so cute! I would love a copy! I’d love a copy! You’ve inspired me to try so many new things, and now that I have a serger, I can do so much more! Thanks for your tutorials! This looks like a great book and I think even my 13 yr old would love to make that paper lantern with me! What a beautiful book, you must be so happy to be part of it. This book looks really fun! Congratulations! This looks like a wonderful book. My four kiddos and I would definitely enjoy it. I need to do this with my son! Looks like a cool book. Gorgeous, too. Would love to win a copy! The pictures alone are amazing! Gotta like that book. Love it! Would like to have a copy! what a neat book I would love to read! thanks! Beautiful book. Pictures look GREAT! Too funny about the sweater!! That used to happen all the time to me and was the main reason I started shopping at thrift stores. The book looks so cool!! I would love to get a copy!!! what a great book ! thanks for sharing ! Adorable book! I would love to make some of the projects in the book with my kiddos. That would be so awesome to have one of those. I just had my first little baby, and I really want to make creativity a part of our days in my home. This looks like such a fun book!! That is such a neat looking book! Looks like fantastic ideas- I’m excited to read it! 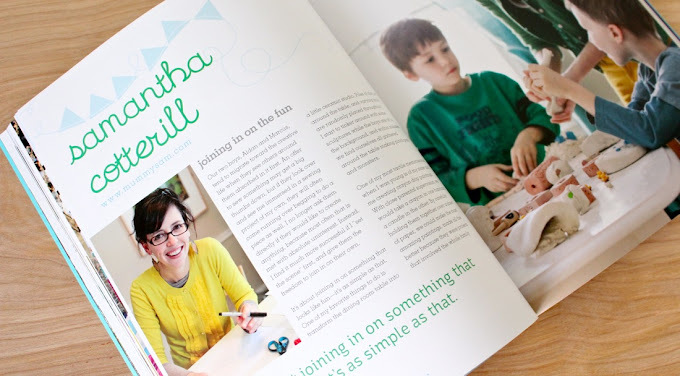 I love reading about other moms who create with their children. My little man isn’t quite old enough yet but I can’t wait for when we have have fun creating together! Adorable! Would love to read it! How cool is that! It looks so bright and cheery! LOVE the book! LOVE your blog! Happy and joyous come to mind when I peek in at what you are up to! These books look super neat! What a fun book! My daughter is getting to the age that she can sit down for more than 5 seconds and do a little craft project with me…I am sure she would love the progects! I like to enjoy these activities with my son hand. Me gusta mucho de disfrutar de estas actividades a mano con mi hijo. I’d love to get a copy! yah! perfect for our babes. thank you so much for sharing. Congratulations! You always have the best ideas…and I love to reproduce them!!! Me Me Me, oh pretty please pick me! I need to re-engage with my kids. I’ve been absent since we left LA which is sad because our life is supposed to be BETTER in Dallas but I’ve been less involved with my children. How cool! This looks like such a fun book! What a beautiful book! I’m eager for my little ones to reach the age where we can work on crafts. But we’re trying things with paint and coloring frequently to set the stage! wow, that’s so exciting!!! congratulations! It looks like a fabulous book Dana and I love the ornaments too! So excited about this giveaway! Fun, fun! Lovely,always love things handmade instead of buying it ,making is so enjoyable.Would love the books and treasure them forever. You are such a good mom… I’m jealous… I am a single mom, working full time and so wish i could spend more time with my kids.. I would love to win one of the books. I think it would inspire to spend more quality time with my children. Thank you for the opportuntiy to win. What an awesome concept. And what a beautiful looking book! Looks great! My kids love crafting. I know we would get lots of use out of this book! The book looks wonderful! Fun! I want that book! Thanks for the opportunity!! What a lovely book! My kids and I would love to win it! This book looks awesome! I grew up with a crafty mom and inherited her creativity. Now as a mom I plan on passing that down to my kiddos. so cool! love the book & cute ornaments. Such a beautiful book. Would absolutely love to win a copy! I can’t believe that I can try this giveaway! Thanks a lot! It must be very inspiring! I’d love a copy or a handmade ornament! Can’t wait to check out the book. Congratulations! And many thanks for your always lovely ideas! This book looks fabulous! Thanks so much for the chance. And congratulations! I love giveaways, I hope I win! I love this book!! I would love to win this to give as a gift!! Love the pictures of your family! Book looks COOL ! Thanks for a chance to win !! Thank you! This looks like a fun book. Would love this book! My daughter is getting to the perfect age to start crafts, and being a SAHM, i would love the chance to try new ideas! This looks like a beautiful book! It’s so great to know know that there are so many talented ladies out there who also love being moms! I’m super excited our first little boy is due in November! Lovely idea and it looks like a lovely book! What a wonderful book. When my children were young we crafted a lot. 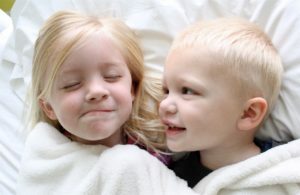 Now I have 2 grandchildren, time to have fun with them. Congrats! It looks like such a fun book! I’m excited to flip through this! Definitely a book I NEED to add to my collection!! That book looks fabulous! I’d love to win a copy. Looks like a really fun book ! Hope to be one of the lucky ones ! P.s. my daughter has that yellow sweater in pink. Super cute!! I love crafting with my kiddos, and they love it too! love the book i sure hope i win it my sister and i are huge fans. Love your quote too. it fits for everyone who loves to make new things. That book looks like a lot of fun! I’d love to win! you’re wonderful! thanks for your beautiful ideas and creations! Ha! Ha! I noticed that sweater showing up twice…but only because I love that sweater and want it for myself. I’d love to win either prize. I saw it at Hobby Lobby and loved it. That looks like a great book, I would love to have a copy! OMG I would sooooo love this book! This is my total addiction. I just love books on crafting with my kids. My Hubs won’t let me buy anymore, but if I win one… that is another story. What a great idea for a book! I’d especially like to read about what you ladies say about why you blog, and how to balance family time. I am a pre-kids crafter and I’d be iterested in your moms-pertise (get it? moms-expertice??) corny. i know. 🙂 Anyway, I’d love to get my hands on this book and do some of the crafts with my niece! Great looking book! So inspiring! This book looks amazing! Just in time to get the kids started making Christmas gifts! Looks like an awesome book. I need help finding ways to craft with my son, so this could be just the thing! Awesome giveaway! I would love to have this book! The book looks beautiful and I’d love to win a copy. Ooh! My two year old is just starting to sit still long enough to (sort of) craft with- this could be handy soon! How exciting!! This book looks great…and I’m so glad President Uchtdorf’s quote made it in…that has always been one of my favorite talks ever. Thanks for the giveaway! This looks like so much fun! I have to find it! What a great idea for a book! 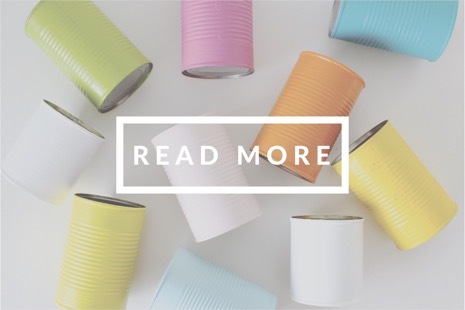 Collection of crafty blogs all in 1 place. Comment comment comment. I would love to enter to win! What an amazing book with such a wonderful collection of projects! The photography is beautiful on the pages you featured in your post. I love the handmade ornaments as well. Thanks for the chance to win! What a great book, I really need to get my hands on it! Looks like a fun book! My girls really enjoy crafting with me. Always so inspired by you Dana! Would love to win! The and the ornaments are fantastic! That looks like such a cute book! Precious! I’d love to have a copy! Would love this – just started following your blog this year and it’s starting to be creepy how similar tastes we have, a friend across the continent. (I even have a son named Owen)! Awesome giveaway! This looks like a lovely book! It wouldn’t have been the same without you! Looks like a beautiful book! Thanks for offering a giveaway. love it! the cover, the projects, the premise… awesome. Great sweater! And what an accomplishment! What a great book and cute ornaments! I would love to try some of those ideas with my boys! How exciting that you and your family are in this great book! Congratulations and thanks for the chance to win! It really looks like a great book! I would love to win it. Oh, what a great book. I’m sure spending time with kids will be more fun. I would like to get the copy too. Thank you for giveaway chance. Oh joy! What a happy book. This would be super fun inspiration for my 4 kiddos and I! Looks like a wonderful that I would love to read and learn from. Good for you! That is great! Congrats!!! I just love the pics. The book looks lovely! Thanks for the chance to win one 🙂 And even if I won the ornaments I’d be thrilled. What a beautiful, bright, happy, intentional book! looks like such a great book, would love to win a copy! Fun book! Thanks for the chance to win! I’d love to win a copy! Reading blogs is fun, but sometimes it’s nice to look at a book to! How fun! Hope I win a book! What a fun book! It would be a blast to win! my girls will love everything in this book! I sure i will too! Open to everyone – not only Us – cool! I try it from germany. I can’t wait to start teaching my daughter how to create with her hands. This book is a perfect start! The photos are lovely. Thanks for the fun giveaway. I’d love to get one of them! The book looks great – I’d love to win it! Very fun! I just added it to my amazon wish list. 🙂 Thanks! Oh, I would love to win. The book looks fabulous. My girls are already making ornaments for the Christmas trees – those would be a great addition! Now, this is adorable! What a fantastic resource to have to hand….love it! What a fun book! I know my whole family would enjoy it…but especially me! This book looks amazing and would make a great Christmas gift for my sisters/sister in laws with littles at home. Thanks for the giveaway! How beautiful you all look. I love the idea behind the book- our family would love it! Oh. My. Adorable-ness!!!! I’m in love with what I’m seeing!! That book just looks fabulous! congratulations on the book! it looks amazing, it would totally make my month to win this one. thanks so much for the opportunity! What a wonderful giveaway. Lovely! Awesome! I would love this book! What a wonderful idea to highlight these amazing mothers and their craft! Would love to have a copy of this book! Thank you Dana and love your blog too! Cool giveaway! It looks like a fun book! Thanks for the chance. I am constantly finding myself with a little boy or two on my lap while I am sewing, drawing, or doing anything crafty. It is such a wonderful blessing to be able to do and create things with my children. Thanks for the giveaway. This book looks so great thanks for sharing! What a great book idea! So beautiful! Thanks for sharing, and congratulations! Looks like a fantastic book. Congrats! Looks like an awesome book! I’d love one!! 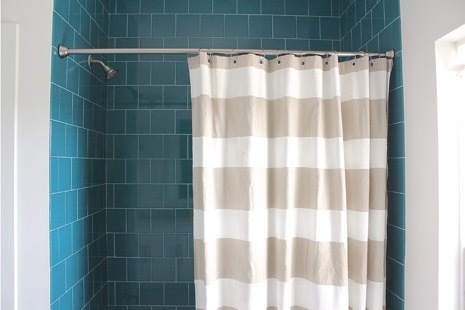 Love your bright colors and great ideas for kiddos. This book looks great! How fun and exciting! 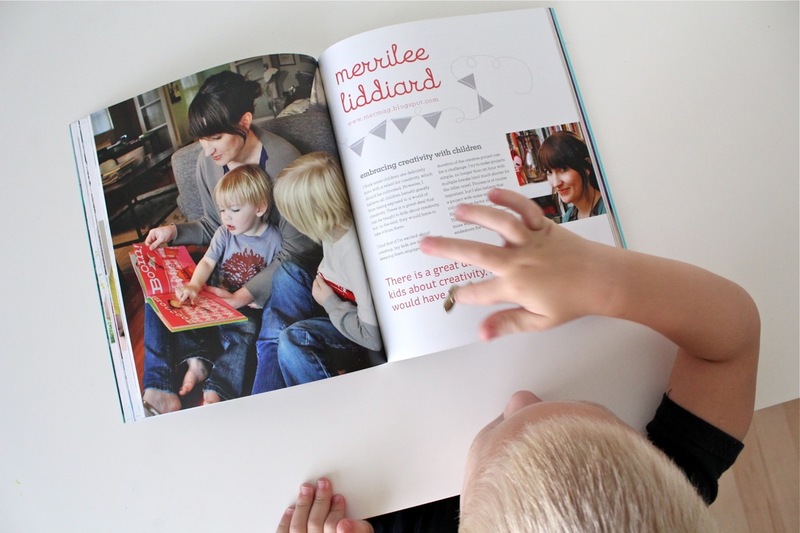 I’ll definitely be checking this book out, blogging moms are my hero’s! Thanks for the fun giveaway! What a fun looking book!! Love love love that book! The book looks fabulous and I’d love to win a copy! Love it! and love trying to foster the creativity in my two little guys. Thanks for all the inspiration! I have that same yearning to create and my kids are showing signs of that too. This book could be a source for tons of fun! Would love to have a copy of the book. Always nice to have some inspiration to make something for my little one. This book looks so good! Congratulations! What I great idea for a book–I love this concept! It’s all me… right there in a nutshell except add Photography instead of blog. But I am an obsessed Blogger Follower. Especially Yours!! Thank you for doing it! And for having a give away! Awesome! What an awesome looking book! 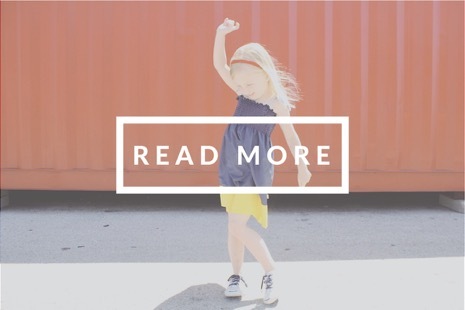 And what a great way to discover new blogs to follow for even more project inspiration. Thanks! Among all give away posts that I’ve seen this one touches me deeply. This type of project reminds me of the way in which my own mom taught us to paint and coloring and make figures. I miss you mom. I will try to give to my beautiful Amanda what you gave me through art and crafts. That book looks so fun! This looks like an amazing book! I WANT! What a fabulous book. Would love a copy. Thanks for the giveaway! Beautifully motivating! Thanks for sharing! What a great compilation 🙂 Thanks for the opportunity! The book looks fantastic! I can’t wait to read it cover to cover. Thanks for sharing your favorite quote–it is beautifully expressed. This book looks AMAZE-ZING! And what an inspiring concept to encourage Moms to make crafting a special time to share with kids. Sometimes I get very control-freak about my crafts, so I need this reminder. Love crafting with my kids, this would be a lot of fun! What a great collection! We’d love to try out some of these projects. this book looks awesome! i want one 🙂 come on random draw!! Congrats on the book. Winning a copy would be awesome! Aww what a sweet book! What a lovely looking book! And we all should love the concept of spending quality, engaged, creative time with our kids. Kudos! That looks like a great book. Thank you for the chance to win it! Wow what a gorgeous book, loving the colours! The photo’s are BEAUTIFUL, and I can’t wait to see all the mommy bloggers in action! Would love to win!!! Looks like a great book! Embossed dots on the cover? Wow! This is a great-looking book, and it looks to be full of great ideas, too. Congratulations! I want that book! So darling. Congratulations on the book! Looks like a fun book to win – some of my fav bloggers!!! Great giveaway and great work! Would love to take a look through the pages of this book. Looks wonderful! 262) Gabrielle @ Oh Boy, Cato! Thanks for the opportunity! It looks awesome! how great! I love doing crafts with my little one and she likes it as much as I do! We are always looking for ideas! Oh, I would like to have that book on my bed table 🙂 And do not worry – I went to my sister’s wedding a month ago and noticed that another guest from the groom’s side had the same dress.. Fortunately the color was different 😛 Keep smiling! And keep beging a great mum, great crafter and blogger! Looks like such a neat book! That book looks like a lot of fun! Hi Dana. Love following you on here and Instagram. I woul love a copy of the book! I would love to do some crafts with my little munchkins! This book looks so cute! Looks like such an inspirational book. I’d love a copy! such a lovely looking book, I would love to win a copy! Congrats on being in the book! 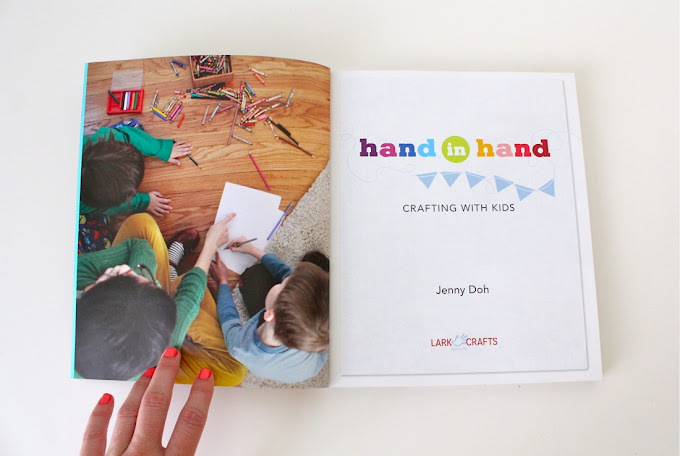 It looks like an awesome book for crafting with kids. Can’t wait to the able to check it out. Congrats! Looka so good! Very warm book! Looks fantastic ! I just can’t figure how you can do all that….do you ever sleep at night ? I’m just amazed, and so inspired by your blog, craft and tutorials….. Would just love a copy-if open to no more US residents…. I would love to win this book, looks liks so many great ideas! Awesome book.. love to craft and now that i’m a mommy it is even more exciting.. would love to have this book as a guide!!! As a blogger that is also a mom (not sure if I am an official “mommyblogger”), I really love the idea of this book! So awesome! I’d love to win. Very fun! I love the yellow sweater! What a fun book! Fingers crossed! How nice to have a new book to drool over. The pictures look stunning. And colourful. And fun to try. Yes, a book to look forward to indeed. Congrats on being in there and thanks for sharing. congrats! the book looks great! Congratulations! You look beautiful and your kids are so All-American cute! I would love to have this book! Looks fun. I would love to read it and try some new things out. This looks like a beautiful and fun book with some of my favorite bloggers inside! I would love a copy! I love this giveaway!!! This would be great for me and my boys!!! I actually already bought Hand in Hand at my bookstore here in Germany. It’s quickly become a favorite of our family and was a great resource through the summer when we needed something creative with which to fill our time. Looks like a great book! I would love a copy. This looks great. I am trying to find more ways to craft side by side with my 3 year old son. This book looks wonderful! Thanks for posting it….. So cool. I love the colors and reading about how other people live life. Great quote too!! As with all of your projects, this book looks interesting, creative and useful … congratulations! What a great book! And those ornaments are adorable. Wonderful! The book looks great! I can’t wait to read this! I would love to win a copy, but if not I’ll get one with my birthday money. 🙂 My kids love to craft and I love to craft, but we’re not always great about crafting together. Oooh, I would just love to win this book! Thanks Dana! I would love that book! So many fun ideas. I love any good book. I definitely want this book!!! My 2 of my 3 kids are always asking to do crafts with me!! Fabulous-looking book! I love the embossed dots on the front, too! What a great book. The pictures are so wonderful! You’re the very best Dana! What a lovely book! Count me in for a possible copy or a sweet ornament! So happy to read about families and their favorite creative processes 🙂 Thanks for the chance to win. What a fun and simple idea! Looks like fun. This would come in handy for those long northern WI winters. Looks like a fabulous book with some great ideas! I’m always looking for new crafty ideas! Thanks for the giveaway! Such a beautiful book! I would LOVE it. This looks like a fantastic book — I’d love to get my hands on a copy! This book sounds like the perfect solution to getting ready for winter in Utah! Wow! This looks like a wonderful book! I’d love to win this. Sign me up! I love my boys growing up and grasping “creating”! I would love this book. Thanks! The book looks so exciting. Thanks for the opportunity! The book and the ornaments are both awesome! What a fun book! I have two boys, age five and two and am always looking for new ideas to try with them. just bought my daughter a sewing machine. fascinating to see her this afternoon trying, sweating, stayin calm and doing a first little beanbag with much patience after a half hour with the machine! it smelled so new..
what a fun book!! so many great ideas!! and i love the cover!! What a gorgeous looking book and the ornaments are just too cute!! Thanks for having another cool giveaway!! What a fantastic looking book, I would so love to read this! My son has just started getting into crafts and sewing with me and I’d love some new ideas, thanks for the chance to win the book! Go you! She has great taste to include you. And I would SO love this book. This is so cool! Can’t wait to see the rest of it! This book looks so fun. Would love to try the activities with my boys! This book looks so fun:) I would love to win!!! Looks great! I’d love a copy! Beautiful book. Congrats! And thanks for the giveaway. What a brilliant book. I’m now really thinking of putting together something similar from the stories of our local moms-creative bloggers…Not really sure it is ok to participate in the book draw from outside of the US, but I’ve been your reader for so long…so I’m doing it anyway 🙂 Thanks for your lovely blog! Yay! Congrats on the book! I’d love to win a copy- it looks fantastic! Thanks!!! The book looks awesome! Leave it to Target to have us all dressing the same! ha ha. Looks like a great book, would love to check it out! I would love to have a copy! It looks wonderful! Can’t decide if I want the sweater or the book more! 😉 Kidding. Congrats on a lovely spread! Is it weird to see yourself with just 2 kids now? Great book! I’d love to win! Cute book! Would love one! 6 kids and I’d love it, as would the kids :). What a cool book! Now that I have a toddler, I’m always looking for craft projects to do with him. Very fun! Thanks for the chance! I’m always looking for things to do with the kids to break up our long afternoons. Thanks! Can’t wait to check out the projects in this great book. Love it! So many of my favorite crafty mamas all in the same place? Yes, please. I would love to make that lampshade. What a beautiful looking book! Congrats! I would love to have this books or the ornaments! Love the book just from reading your post about it! Definetly adding to my wish list:) thanks for the chance! What a neat book! And that quote by Pres. Uchtdorf is one of my all time favorites! I really need this book! Any chance I get to encourage and inspire more time not just with my kids but interacting with, enjoying, sharing and learning from and with my kids sounds fab to me! I would love to read more of this book and share these ideas in our home. Oh I love the look and sound if this book!!! Cute book! Looking forward to checking it out. I could really use the inspiration from this book. Thanks for the giveaway! Cute book! I would love to read it, especially if it’s a contest prize! What a great book! Always looking for new ideas! So funny about the yellow sweater! I’d love to win a copy, it looks great! I could use some inspiration this week!! I love that there are two yellow sweaters in the book! ohhh what a lovely book. nice people and wonderful ideas!!! What is your secret ? are you a superwoman ? I’m so glad you posted this blog this book looks darling and I can’t wait to go pick up my copy! You Owen and Lucy look so cute! Thanks for the post can’t wait to start crafting with my daughter. What a wonderful book! And plenty of wonderful ideas! Congratulations! How exciting to be a part of such a neat book. I’m looking forward to reading it. How very inspiring! And exciting – congrats! These ornaments are great! Just the inspiration I was looking for. What a neat idea for a book – I’m excited about all the craft projects especially! I would simple love to have this book and share it with my nephews or sobrinos! as we say in spanish! I really like your blog:) Have a great day. 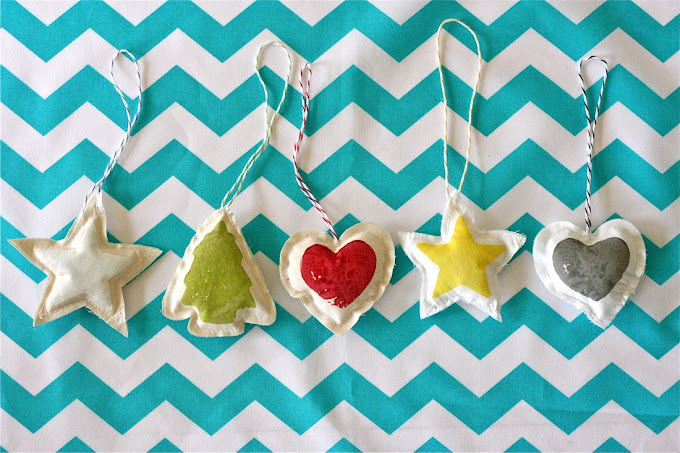 The kids and I are definitely making those sweet fabric ornaments this year! Love the book and would love a copy!!! 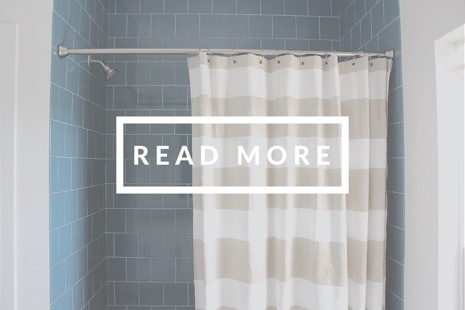 I absolutely adore your blog; I’ve been reading it for years! I would love to win this book! I am always looking for ways to be creative with my kids, but I often need some help with ideas. This would be a great resource! Plus, I love blogs, so this would introduce me to lots more! This book looks like so much fun, thank you for the giveaway! The book looks great! What a fabulous compilation of bloggers, and craft ideas! A very cute book indeed! And the ornaments? ADORABLE! So many bloggers that I follow! I would love to have a copy! share your love of colour and all things crafty! It’s looks like a wonderful book! I would love to have it for its beautiful pictures and inspiration. what wonderful colour and inspiration! The book looks like a lot of fun! This book looks awesome! I’d love to have one!! So fun to have so many great ladies in one book. This looks like a great book, congrats on being a part of it ! 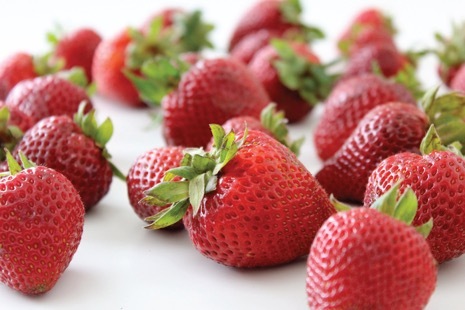 Love anything on your web site! This book looks so cute! Thanks! Very cool concept for a book… I’d love to check it out. The photos look beautiful, and the layout is so inviting. The book looks wonderful. I can’t think of a better gift for my sister-in-law! That book looks AMAZING! I need to get it! Congratulations! I’d love this book – I really should start getting my 3year old involved in crafts (beyond coloring/sticking stickers on any surface she comes across)… this book looks like a great start for some mommy-and-me quality crafting time. Congratulations! My DD and I love to make things together. Thanks!!! Handmade and kids. Two of my faves. I really enjoy your site and crafting for and with my four kiddos. So having this book would be super great! ooohhh me! 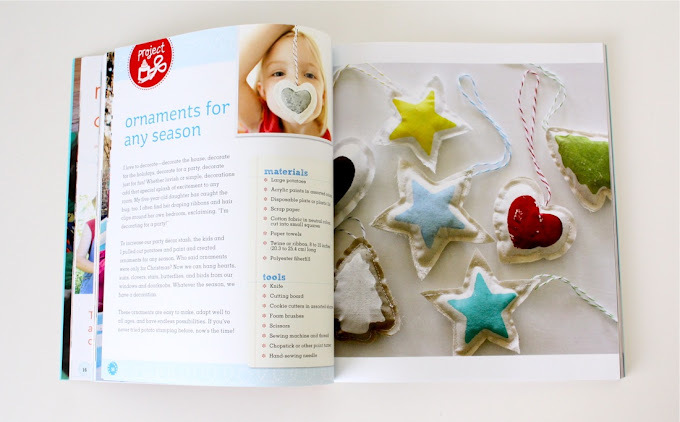 I’m loving the ideas in the book and I’m so looking forward to crafting with my little one! What an adorable book … I’d love to win one! Moms, crafts, and kids…oh, my. What a great giveaway. Thank you! I would love this book!! Well done!! Looks like an awesome book! Are there any projects to do with a 2 year old?! I love the quote. I definitely have the desire to create something. All the time! As a mother, teacher and crafter, this book looks amazing!! Love your blog! Craft books are always good to have on hand. Thanks for the chance to win a copy. What a wonderful idea! Hooray for more craft adventures! Would love a copy! Looks awesome! I’m a sucker for a cute book cover! Would love to have that one. Always love reading your blog, Dana. Thanks for the opportunity to win! Sounds like a really interesting book. Thanks for introducing me to it. This book looks perfect for our family! How fun, and what a beautiful looking book! *crossing my fingers*! How wonderful that you are in this! You look beautiful and your kids look so happy. I love being a crafty mama and getting to pass on all of that fun stuff. This would be great for me and my girls! Thanks for the opportunity to win free goodies! Looks like a really cool book. I am always searching for crafts to do with my kids. I love doing Christmas Tree ornaments. What a great book! Congratulations! Thanks so much for the giveaway! I’d love to pass this book on to one of my dear friends who’s a mama of two and always looking for new ways to craft with her daughters. That book looks so great! Would love to flip through it! The book looks awesome. Perfect that your family is in it. I would love a copy of this book. We have begun a family craft night at our house and the kids are really excited about crafting lately! It’s so nice to see them love and appreciate something they have created with their own hands vs. buying something from a store. I felt a huge and instant ‘Mary Poppins’ desire the minute I saw this book on your blog: I wanted to be able to jump in my iPad straight away…..
yes please! so colorful and fun! I bet some of these would be fun at the Daycare I work at. Looks like a fun book full of great ideas! love your blog, Dana! You have the greatest projects and I have tried a bunch of them! would love to read this book. What a fun book! And I have that sweater too! 🙂 Thanks!! Great crafts are always so much fun and adding kids to the mix is a must! I will comment and cross my fingers for a win. I love mom bloggers! I adore the idea of this book. I became a stay at home mom a year ago and I have been dying to start blogging since then (I did my undergrad in communications and worked as the blog writer for a small emergency preparedness company for a year before having my baby). I would love to read about how other moms manage. I also love those cute little ornaments and I know they would make my little home so much more cheerful! Congrats on this BIG accomplishment! This is one of the first blogs I started looking at, and still my FAVORITE!! Thanks for all the great projects! i love you! pick me! Oh man. If I don’t win, I’m totally buying that book! Thanks for the giveaway!! What a beautiful book! I would love to get my hands on one and start crafting with my daughter. Thank you for sharing…and for the give away! That is a great quote! Would love the book! This book is for me!! Je le veux! Great book!!! Thanks for the giveaway. What a gorgeous book! I would love to read it and check out all those beautiful projects! I love all of your ideas and this book looks amazing. I love the yellow sweater too. So bright and adorable. Congratulations! You must be proud, and it must blow the kids’ minds to be in a book. This book looks fabulous with so many of my favorite bloggers in it. Congratulations! The books looks really perfect! hi! I love seeing your blog in my news feed! And I love giveaways! Looks like such a fun book-I think I need it! Looks like a really great book…I already love it! Those ornaments look so cute and easy! Hopefully I’ll win! Oh gosh, I’d love to win a copy!! this book looks amazing! I would love to win! This book would jump start my christmas list! Congratulations!! This book is amazing!!! great book for the family!!! What a FUN, HAPPY, HAPPY, HAPPY Book!!!!!!!!!!!!!!!!! It looks great ! I would love to have one. I’d love to do these crafts with my kids! What a great book! I would love to have a copy. Your family is so sweet! Love this! How exciting for all of us! This book looks great! My kiddos would enjoy this almost as much as I would!! what a SUPER cool fun book!!!! those would be great hand on crafty ideas to do with the kids!!! How cool! I can’t wait to get my hands on the book. The book looks really great and your ornaments are so pretty! Thank you for the giveaway! So many of my fav artists are in this book and authored by one of my most inspiring artists.. It would be an honor to be in possession of one.. nevermind the fun it would be ..
great idea for a book…cute ornaments too. Love all the creative moms. I would love this boo!!! Thanks for the giveaway! I would love to sit down and read this book! Beautifully done and I love all of your projects. So glad they decided to include you! Congratulations! The book looks great, and I’d love to read it! I am always a sucker for a great new book!! This one looks amazing. Oooh – I would LOVE a copy of the book! Those ornaments are wonderful too! What a cute book! My daughter is finally getting old enough to do some crafty things. I would love to try some of the things with her. Looks like such a fun book, being a blog creative mom I feel I could relate to it, thank you very much for the opportunity. I’d love to win one of these. Looks like a great book. Congratulations! The book looks lovely. I’d love to win one for myself. Love the quote, would love to have a book! Thanks for sharing! Looks like a great book, I’d love to read it! Looks awesome! I would love a copy. What a lovely book, and great for you Dana to get some recognition. Now I want a yellow cardigan. Congrats on the book. The photos look gorgeous. What a neat book. Thank you for all of your inspiration!!! i would love this book! im always trying to find new and fun things to do with my girls! What a darling idea for a book! I would love to see what everyone has to say about being a crafter, blogger, mother, etc. And also try out everyone’s fun kids craft ideas! I would love to have this book on hand when I have kids of my own! The book definitely looks pretty. I’d love a chance to look inside! Thanks for the chance to win. love it! i am so looking forward to crafting with my (gasp) 1 year old! waou !! That sounds great !!!! I love to discover new inspired/inspiring people…. Thanks for offering ones to some of us !!! this book looks so great. congrats! What a fun book! Thank you for sharing! I LOVE that quote!!! It’s one of my favorites too! This book looks so wondeful! You’re so lucky to be a part of it! My son’s about to hit crafting age, I want to be prepared!! What a great book! I’d love to win a copy! What a super fun looking book. I can relate to Maya Donenfeld’s pic with her daughter on her lap at the sewing machine. My son loves to ‘help’ me sew and he’s only 2! Very cool looking book! Would love to win this and see how everyone creates things with their kids. So very cool and inspiring! Beautiful book and I love the title and colorful binding. My 2 daughters love craft time. I would love the book OR some goodies! Yay for giveaways! Oh, I’d love this. A little pick me up would be welcome! So cute and so much fun! It is great to see women get together for such wonderful reasons! This looks wonderful. Thank you! Oh man. What lovely pictures! This book looks so great! I could use that book to do some fun things with my son. What a neat book! That is really cool to have your family’s pictures so prominently displayed in it too! i so want the book..
What a wonderful book, and I love that quote as well. I love it! Crossing my fingers for a win. How funny with the yellow sweaters! Great blogger minds. . .have the same taste? Looks like such a fun book. Looks like a fun book! Great photos! Looks like a great book! I’d love some ideas for projects to try with my son. Thank you! looks like such a great addition to our craft library! What a great book idea. A look behind scenes of mommy bloggers and great crafts to boot. That looks like such a great book! I love the pictures. What an amazing book! My fingers are crossed! What a fantastic book idea! It always amazes me how small the blog world is….what a fantastic group of women. I ‘know’ a few of you and looking forward to ‘meeting’ anyone new in this wonderful collection of mamas. That book looks fantastic!! I definitely would love to try it out or win some free ornaments! How exciting! I love the pics of you with your kids. they turned out beautifully. What a neat book! And, the ornaments are great! Congratulations!!! The book looks fun, and I would love a copy. Plus, the yellow sweater detail made me smile. Thanks! Would love to share this book with my sister and nephew! Thanks for sharing your creativity. Want it! If I don’t win, I’m buying it! Thanks for the chance to win, I would love the book! How awesome. What a fun book. Thanks for the chance to win a copy. Looks like such a great book! And the ornaments are adorable. Thanks for the chance to win! I love goodies, and the book is perfect for my two girls and myself!! Super awesome! Thank you – can’t wait to read it! What a beautiful book! I just love it. OOOhhhh this would be great to peek through with my kids and hopefully work on some projects together! Oh please, oh please! 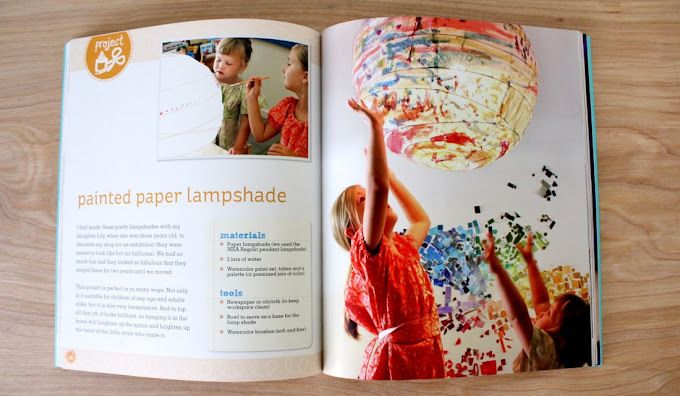 I love crafts and would love this book to inspire to create with my future children. Plus, I’ve just had a super horrible, no good, very bad year so far! 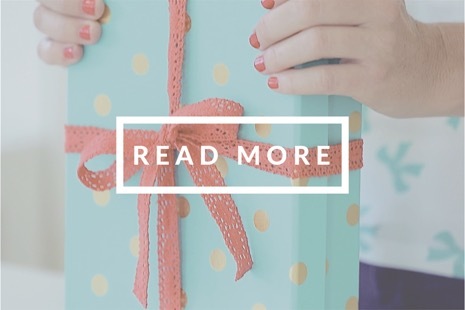 I look forward to new posts on your blog – would love to take a peek into your new book! WOW! So many of my favorite bloggers are in there (you included of course). Would love to do this with my 2 girls!! Looks like a really fun book to craft with kids! hehe.. as I write this there are 643 other comments… the chance of winning is so slim but I cant help but try.. because I so want to be inspired by this book right now. Either would be awesome! my boys love crafting with momma. looks like an awesome book! I would love to win one of these books. I love to craft with my kids and to read. This book combines those 2 things for me-Perfect! First of all, I love your site. Your crafts are so doable and always gorgeous. I used to be intimidated by my sewing machine and you have taught me to really enjoy it. 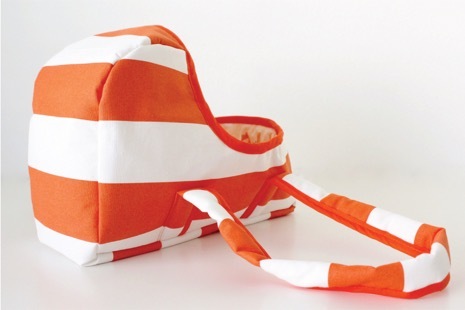 I am hooked on making your totes! 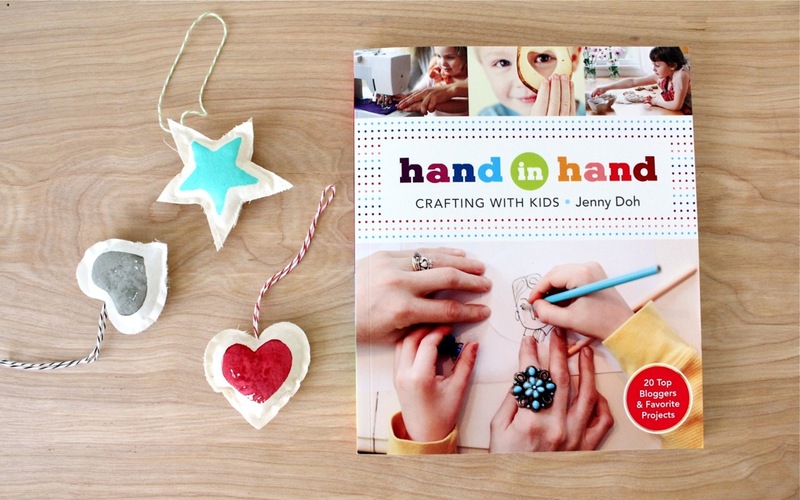 I love crafting with my kids and would love to win a copy of this book! Looks like an awesome book! 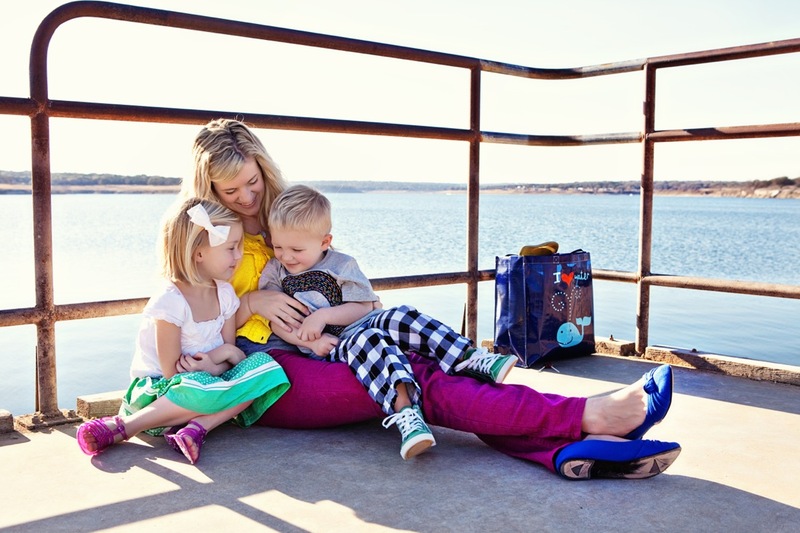 So timely and love that there is a discussion of balancing motherhood and blogging. The book looks great! It would be a treat to win. The book looks amazing, thanks for sharing with us! I need some creativity help, looks great! I love this! Such a great inspiration for mothers out there trying to balance their family as well as their creative side:) Thanks! Would love this book so much! I work in child care and am always looking for good crafts to do with the kids. I can’t wait til I have my own to craft with! 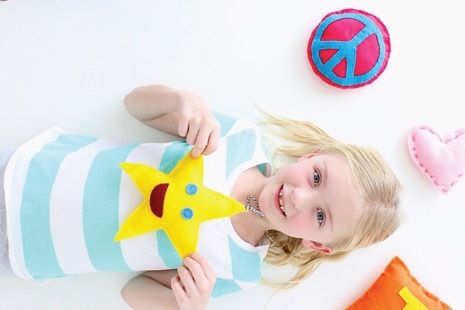 I would love to win this book, great kid crafts all in one place. LOVE the book! 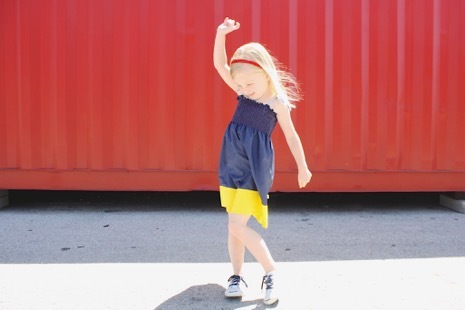 Bright colors…happy kids…fun projects. Please pick me random.org! I’m going to go get a lantern from IKEA tomorrow. Beautiful pictures. This looks like a perfect book for me! Thanks for the opportunity! And love the yellow sweater! Gorgeous book…I’d love it for the photos alone! Thanks (& congratulations)! I don’t have kids, but I love to craft and I enjoy dreaming about someday having kids and the projects we could do together! My Eleanor is 21 months and I need inspiration on how to let her create. Congratulations on your new ‘baby’! Thanks so much for the giveaway. Your blog is so great – really enjoy reading it! I’d love to give the book to my craft daughter who’s expecting her baby #2. Thanks for the giveaway! I always love perusing beautiful books for crafting ideas! I am so stoked about this book and if I don’t win, I’m buying it! But, I hope I win. Congratulations on being featured and thanks for sharing the names of these other bloggers. I can’t wait to check them out. Just the other day I was thinking how difficult it is to find printed books with the sort of quick, easy, fun and affordable DIY deco projects that bloggers on the internet and Pinteresters share so easily. Thank you for helping to create one. Looks like a beautiful book! Thank you for the giveaway. Would love assistance in inspiring creativity in my boys! I never enter these kinds of things. But I’m always look for crafts to do with my little boys. Or as we call them, projects. Crafts can sound too girlie! 🙂 I’d love this book!!! I’m giving this a try! Love the pics!! 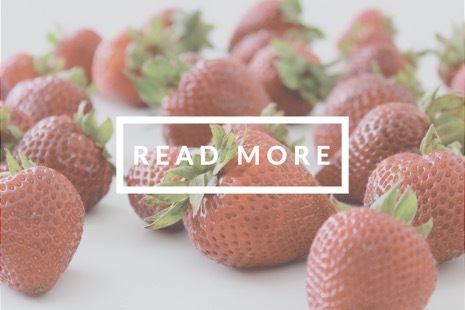 How exciting…love your blog! You inspire me to start my own blog soon! What a great book! Thank you for the chance! it looks awesome, i’d love to get my hands on that book! Hi, sounds like a great book. If (when) I don’t win I’ll have to check it out! What a fabulous looking book. It would be an amazing addition to my library. Thanks for sharing! Saturday’s my birthday I hope I win such a sweet crafty book. Great book, an inspiration to and for all crafty mummas!! Oooo love love love the look of this book!! Love being inspired by other like minded mums!! Thanks for the chance to win!! I love how colorful the book is! I have a 2 year old and he is just being introduced to the world of crafting! Would love to win. The book looks lovely! ooo what a beautiful book!! So great, Dana! 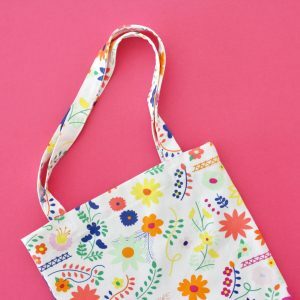 Have been following your site for a while now and have enjoyed all of the sewing tutorials, and would be great to start doing more craft activities with my son – he’s just about the right age for more crafty things now! I’m in!! 🙂 The book looks great. Congratulations! I love to read about women who have a happy balance in their lives. The book looks great! Looks awesome I would love this! Too cool. I would love to get my hands on one of these and sit on my sofa for a couple of hours with it. Your so stinkin cute. Its fun to see what you wear when you post about your little shopping adventures at H&M and F21. My closet is full of my boyfriend ts from target as well. I think I counted 8. Thanks for inspiring me. Congrats on all your books. Cute book!!! Would love one of those! It must be very interesting book. I would love to get my hands on a copy! Thanks for the sneak peek into this book. It sounds great! I love hearing about women who are using their talents while still being great moms! Me please. The book looks super inspirational. Very inspiring. Love to see what the talented blogging moms are up to. The book looks wonderful! Congratulations. Oooh! Love the book – love the ornaments! Great idea! Love simple give-a-ways and awesome books! Looks fabulous! The book’s design is fabulous! The book looks fun, thanks! I love it already! Can’t wait to read more about these wonderful bloggers and meet some new ones! Oh gosh…I have a little girl who is just getting to the age where she would like to be doing crafty things with mom. I would love to win this book for us! What a great way to promote family time! Love it! I would love to win one of these books. I’m not a creative person by nature and I want to do more fun and crafty things with my daughter. Looks a great book and I’m going to need some good ideas! Looks like some enjoyable reading and some great crafts! Right up my alley. Thanks! I’d love to try some of these ideas out with my boys! So cute and inspiring. thanks for the giveaway. Congrats Dana. This looks like a fabulous book, I would love a copy. This book looks neat. I love the keepsake pillow idea! This book looks like fun. Thank you for the chance to win! It would be lovely to win this book! Looks like a great book! No kids yet, but love crafting. And have 8 nieces and nephews i could try these crafts with. 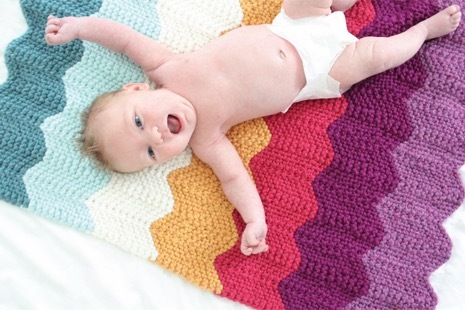 Thank you for introducing me to some of these other crafty mama bloggers also! Great book, would like to win it! Would love to read this book with my boys! 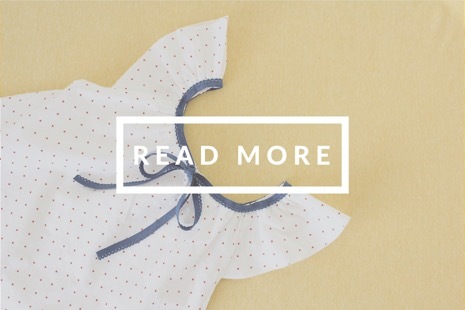 What a lovely idea for a book – I would love to read it for some crafting inspiration. Nice book! I would love to win! That is so awesome and I would love a copy of that book! It must feel amazing to have something bound. It ‘s perfect! Lovely idea! Ooooh! This book looks fabulous! I’m going to be crossing all my fingers & toes in hopes of winning a copy! Oh, el libro se ve precioso… me encantaría poder ganarlo. Gracias por el sorteo. Looks like a great book and how exciting to be part of it! I don’t know who likes kids’ crafts book more–me or my kids! =) We’re having a handmade Christmas this year and are really enjoying coming up with gifts to make for each other. This book looks very interesting! Thank you for the chance to win it! looks like a lovely book – with good stories and beautiful projects. would love to participate! Looks like a great fun book! Crafty moms are awesome. Looks fabulous! Always looking for fun stuff to do with my little girls!!! 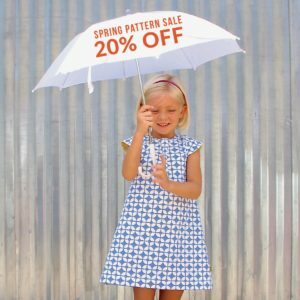 I’d love to learn techniques of parenting, crafting and blogging from “experts.” Thanks! I love that quote, I had never read it before. The book looks great, and the pictures of you and your kids are gorgeous. You all look so happy, it’s great to see this. Love those ideas, colors and because winter is on his way i definitely need some warm moments of craftiness. Sounds like a really nice book! Would love a chance to win this book. It looks great! <3 Congrats on being part of it! Congratulations! I would love to have this book! Looks great! With 3 young boys I am always looking for crafts to do with them, I would love to win! I love spending time with my daughters and love that book too! What a fun book! A book I would probably mkae some time for, usually spending my extra time sewing. Go, fight, WIN! Thanks! What a treasure this book would be for rainy days! This book sounds really great, I’d love to win one! I have a little guy who struggles with doing arts. (he’s a pretty literal thinker, more math/science, stuff he can predict) I am always looking for fun ideas to help him enjoy creating something. This book looks great!!!! If you feel like spreading the creative bug across the pond (to the UK) then it would definately go to a great home. Hey!! I love to spend time crafting with my daughter. This book sounds great!! The book looks so beautifull , I wish i win it!! Boy! With 3 kids at home, I could use this one! Nice book, and your family looks really nice in those pictures. I LOVE your potato stamps project. this book looks amazing. i follow a number of blogging mums since becoming one myself and would love to read about what inspires them. How exciting! Is there anything better than crafting with kids? I’ve started a craft box for my son that is currently packed with brown packing paper, toilet rolls, old magnets and other things we’ve decided to reuse rather than recycle. What an awesome book. Thanks for another wonderful giveaway! I love potato cut-outs as stamps. I have made a lovely table runner using tatoes. I simple love the bits of the book I have seen and think that it was a novel idea using that subject. Maybe if we have time over this weekend, I ‘ll do that with my granddaughter (the stamping!). 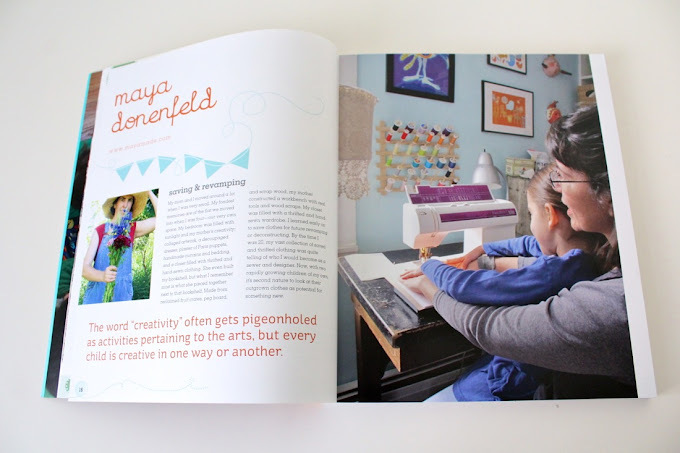 I love to craft with kids and this book looks fantastic. What a beautiful idea! Thanks for the giveaway. I’d love a book with Owen and Lucy in it! Looks like lots of fun, creative activities my kids would enjoy to do. 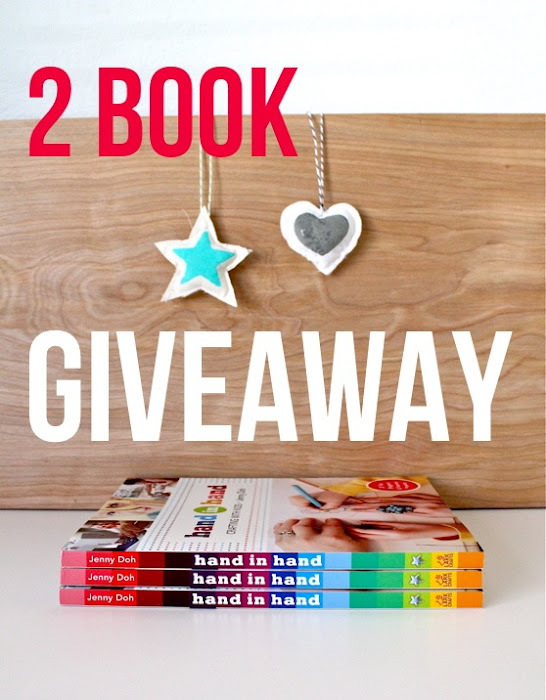 Great book giveaway!!! It looks fun and has a lot of activities do to with the fam. 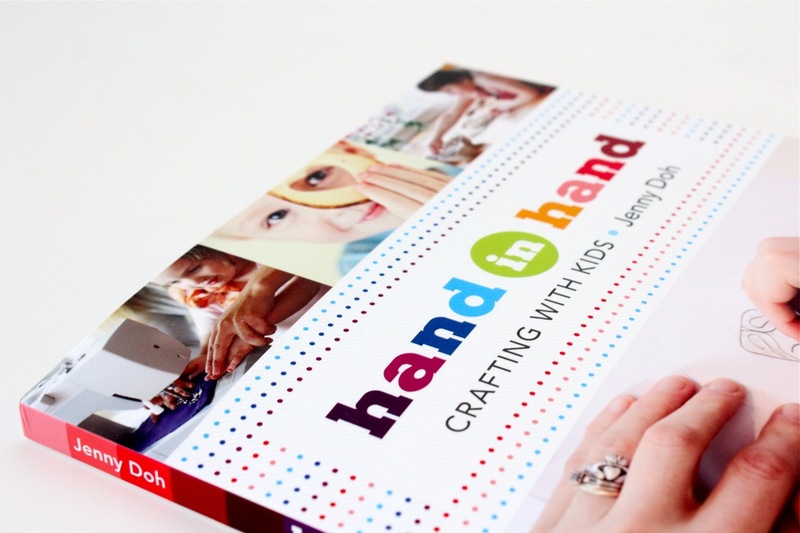 My children would definitely enjoy crafting with mom if we win this book! Oh yeah!! I would love to read this book! Fab.U.lous!!!!! Thanks…would love to own this book! I would love one! If I don’t win from you I may just have to add to my Christmas wish list! This is my kind of book!! Looks like a lot of fun!! Love the pictures in this book! 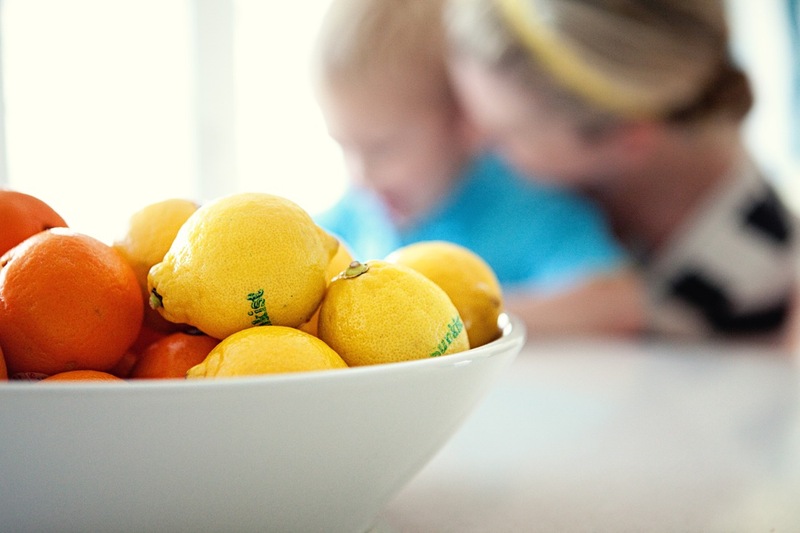 Beautiful shots of moms and kiddos. Fun projects, too! Very nice book 🙂 Great pictures on it! This books looks awesome! Love the pictures!!! wow, this book would be perfect for my three kids and I to do some craft projects! really nice pictures, too! It looks so fun! I can’t wait until my sweet Bella is old enough to craft. That keepsake pillow looks adorable! Looks like a perfect Christmas gift for several of my very good crafty friends! Looks great! Would love to discover some new craft activities without logging on to Pinterest, haha. I would love to make these crafts with my family! Love the book and ornaments. Very inspiring! I would love to read this book. Crafting with my kids is very special to me. How i wish to own one. I’d love to read this with my kids. The book looks beautiful with gorgeous photos! So inspiring! This is so awesome. The pictures look incredible. I would love to do these projects with my kids. That book looks amazing and the handmade ornaments are adorable! This book looks great- I could use some new inspiration! I’d love to win one of these prizes and I know my older three would enjoy making the ornaments for Christmas. We have been doing some craft and cooking during the school holidays and each one of them is so proud of what they make. Thank you for this opportunity. wow! some of my favorite bloggers are in there – looks like a great book. What a cool book-I can’t wait to read it! Love the look of the book – so colorful – and yellow sweaters are always good! HA!!! my 5 children and i would SO appreciate this book! it’s BEAUTIFUL!!!!!!!!!!!!!!!!!!!! thank you for being so generous!!! happy day! I’m a mom who blogs too!! What a lovely book! Thanks for a great give-away! What a wonderful book idea! And such a lovely thing for both kids and mothers! How cute! I would love to try some of these. So excited about this book. If I don’t win it, I will be buying it:) Congrats! Learning how to take care of my boyfriend’s daughter has been one of the most exciting thing I’ve ever done, and this book would totally come in handy for inspiration ! I’ve never left a comment here before and I doubt you’re going to have the time to read any of these, but I’ve got to tell you. 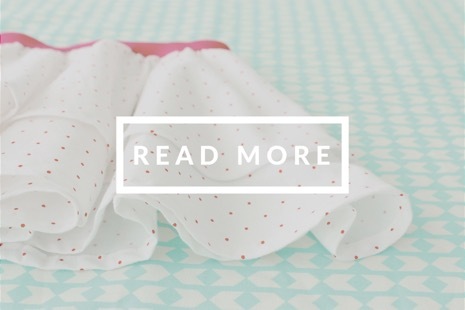 Since I’ve found your blog- my sewing machine has been humming! Thank you again and again for all of the inspiration. Oh my – yes please! You are like the coolest mom ever! What a fun inspirational book. I would LOVE This!!! I would love this! My kids love anytime I bring out the craft stuff and let them go and honestly, I don’t do it enough. Time for some inspiration please! How fun! (And that is an awesome yellow sweater!) Thanks for the chance. This looks like a cool book, I would love to do some of the crafts with my kids. Stumbled upon your blog via Pinterest. What a wonderful find! I hardly ever sew, but your tutorials make it look easy and FUN! Can’t wait to try my hand at a pair of knee pad pants. Maybe even this weekend!? I would love to win something…maybe even the cute yellow sweater! I have a, now 3, year old and live in Seattle where we can’t always go out and play, oh how I would love to win this book so I have a few rainy day crafts to do with him! I would love one of these books, it looks beautiful! 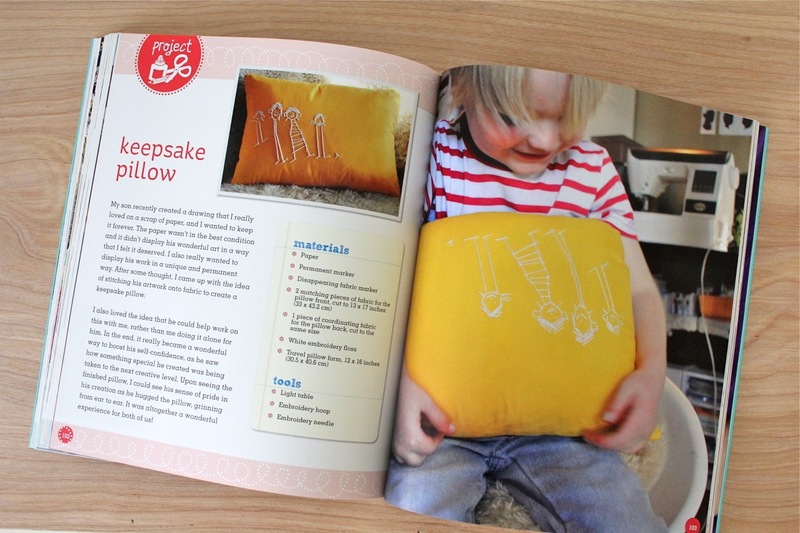 I need to craft more with my kids and this book looks like a good starting point! This looks like just the thing for my family and I. Can’t wait to read it! Love it. Super cute. I would love to share these ideas with my two mini crafters and their friends and teachers. Fingers crossed. This book looks awesome! Congrats! This book looks amazing! Thanks for another fun giveaway. I don’t know how you do all that you do. Oh for the love. This book looks fantastic. I would love, love, love to win this book! 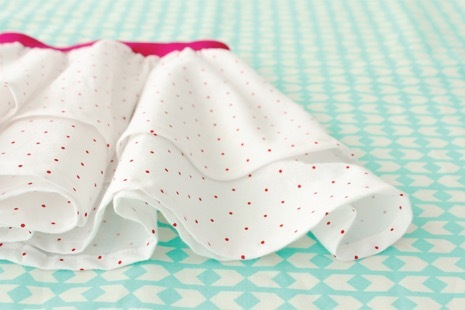 I love making your projects (just finished a pair of boy trousers using your pattern.) Thanks Dana! What a neat book. Would love to win! Congratulations! What a cheery book! What a great concept for a book. It looks wonderful. This book looks cool, I hope I win! Fun book! My kids have been begging to do some crafting! So Much Fun! Love it! Looks like a lovely book. I would love a copy! How funny that two people in the same book would end up wearing the same sweater! I love your ornaments, those would be so much fun to make with my 2yr old…it’s been hard for me to figure out crafty things to do with her occasionally I let her “help” me sew; it’s more like she holds part of the fabric while I sew lol. 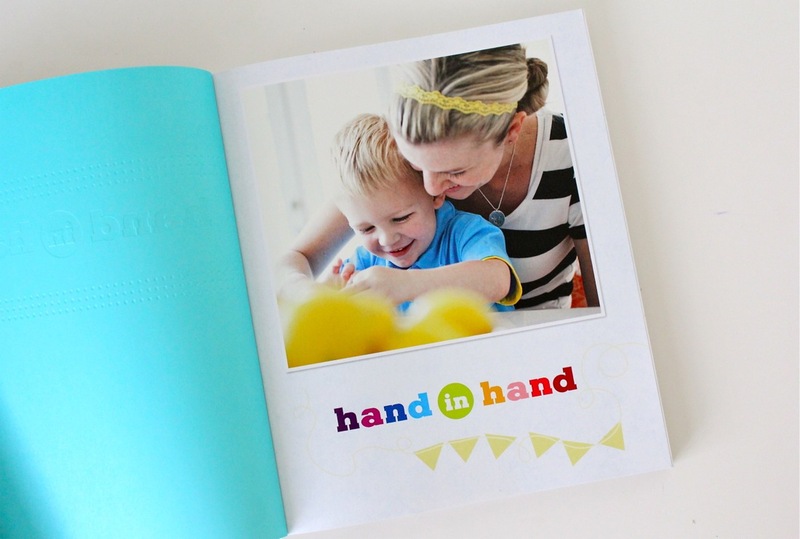 I would love to win a book to give me more cute ideas of how I can be crafty with my kiddos. I’ve had this book on my Amazon wish list for awhile and now you have made me want it even more!!!! The book looks so cute! I love the quote. I am going to put it on the wall in my craft room! What a fun looking book! I’ll be adding that to my must have list…if I don’t win one that is. 😉 Congratulations! The book looks so lovely. I’d LOVE a copy! would love to win I really need to learn to balance everything better. wow! the book looks awesome. thanks for the chance! looks like a fun book. Looks like it’s full of beautiful inspiration. I would love the book. Thanks for the opportunity. I’ll be buying this book if I don’t win one! This book is so cute! it must be so exciting for you to featured in it! Great book. That lamp craft is very cool, I’m thinking it would be neat to have kids create a globe that way when they are studying the continents. Congratulations on the book coming out. The book looks wonderful! I’m always searching for ideas that will entice my boys to “play” with me! What a great book, love to have ideas all in one place 🙂 And the ornaments are super cute !! What a beautiful book! It looks like such a sunny tactile way to share with one’s family. I shall be on amazon looking for that. What a nice thing to be part of. You must be so proud. Looks fabulous, and sooo full of color! My favorite . . . Thanks for the chance to win this great new book. Congrats! Looks like such a fun book…can already feel the embossed cover! looks like a great book! would love a copy! I want to win!!! Thanks!!!! How fun to be in the book!! Love the quote you shared. You look great and the kids are adorable as always! Your use of bold colors has brightened my life and I also love that the quote made it into the book. Admire you! Great book! looks like something I’d use over and over! Thanks for the giveaway! Oh! I’d LOVE to have that book! Looks like an awesome book!! the book looks amaizing !! Wow this is wonderful – what a thrill for you to be published. I’m always on the lookout for craft ideas for my toddler and I to do together. This book would be fantastic! I’d love to own a copy. Congratulations! Thanks for the chance to win the book or the ornaments! Lovely book and a great project! oooh….i really want to learn how to make that lamp! great book! congrats! That book looks awesome! I’ll have to check it out even if I don’t win! This book looks like it has a lot of great ideas that the kids and I can do together. Can’t wait to see more. Dana, you are an inspiration to so many! Reading your story about this book brought tears of joy to my eyes. Being a Mom is the hardest job and the testimony you all share in this book about your experience is sure to be encouragement to us all. I would love to be a recipient of the book and try the crafts you all share within with my own children. What an inspiration! I look forward to reading this book! Beautiful book, congratulations! Thanks for the giveaway and a chance to win! The photos look amazing! Would love to win this one! I’ve been dreaming about starting a blog lately. This book looks like a delight. Is it possible to buy this book for international shipping? thanks! can’t wait to see the book! That is so cool! Especially you being on the first page and our son on the cover. You’re a superstar! Thanks for the chance to win one of the books. Congratulations! How fun that you could participate in such project! The book seems lovely and I would love to win! Thanks for the chance! Always looking for good things to do with my kids! Too funny about the sweater! This book is going straight on the Christmas list… unless I win it, of course! 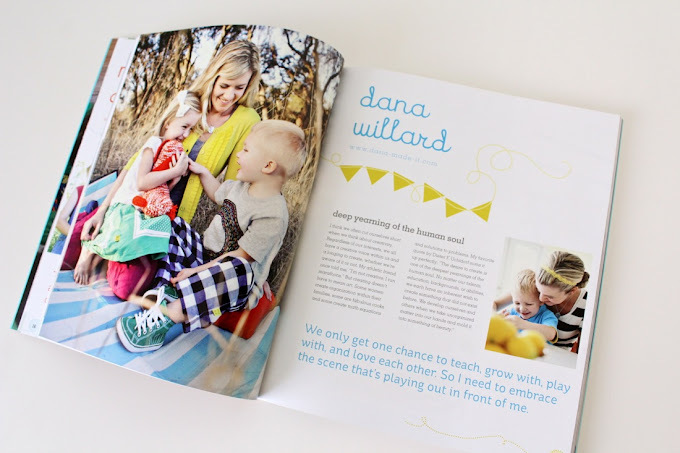 Lovely book and I follow a few of the blogging mamas featured in the book. I definitely would love to have one. Thanks for the offer. What a fun book! Love seeing what others are inspired by and what they are inspired to create! This book looks awesome! I would love to try these projects with kids. Dana, you and your family continue to amaze me. I am so glad that our paths have crossed. You have so many wonderful ideas. Although I would love to win a book, you know I will go out and buy one just so I can do some fun things with the kiddos in my classroom. Thanks for sharing all of the projects and the fabulous blogs. This is an awesome givaway 🙂 Thanks! I would love to win this! 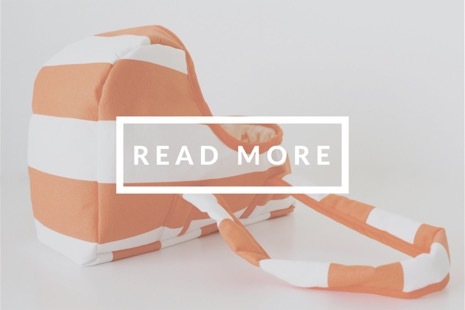 The keepsake pillow is TOTALLY a project I need to do. My son brought home our first “Family of Four” picture when we brought his baby sister home, and I really want to keep that drawing safe forever! I love the creative things you make and have thought of. i absolutely love making things like that and i cant to make some things with my little girl. Thankyou for the chance to win a book. I would like very much to win this give away, looks like a book with a lot of great ideas – just for my little family. The book looks really cool! Wow, what an awesome book. Some really inspiring moms out there, and I’m always looking for craft ideas to do with the kiddos. Congratulations on your BOOK!! Would love to win. Thank you!! So cool! Keeping my fingers crossed! Looks like a great book! Thanks for the chance to win one! i don’t blog but i am a crafting mom with kids on my lap while i sew! thanks for the inspiration! Currently working on making your bats… Would love a book and ornaments to Segway into Christmas season! Owww that’s allways exciting! I’ll give it a try. Would love to get one of this book…! I take the opportunity of this message to thank you Dana for your generosity and your wonderful patterns ! Would love to win the book or some cute ornaments! My kids are big, but I have my grandkids who would love to create with grammy! Wow! I opened my e-mail this morning and saw your heading; boy did that get my attention! I have only been following you a short while, but I have to tell you many of your projects have inspired me to try new things, improve my personal skills and even lifted my self esteem. I am motivated to help others as I believe you have helped me! Thank you so much! A book would be lovely, but just knowing you are doing what you do is reward enough for a grandmother like me! I miss the little things you talk about, and my grand child is so far away. However, SHE is the reason I started sewing and crafting again and I like your style so I share it with my little granddaughter and sometimes I even get pictures! I’ll share when I get a good one! Me too!! A Gramma!! I would LOVE to add this to my collection for when G-Babies come to visit! 969) Heather @ What Does She Do All Day? This looks like a fantastic book! I’m sure my daughters would love to try out some of the projects! My daughter is 7, and she’s all about art as am I…It would be great to win so we can craft more together! Thanks for the opportunity! Yeah for fun giveaways!! Looks like an awesome book. Love the pics of you and the kids. Hope I win! I would love a copy of this beautiful and inspiring book! You are amazing. Thank you for all of your unique ideas. Thanks for pointing out this book. I’ll have to check it out. Love the look of the book! I would love to win it… Is the give away open to European fans? Oh, I’d love to win! What an awesome book…thanks for sharing! What a fantastic idea for a book! Congrats! The book looks awesome. I would love to win one (or some ornaments)! Hermoso libro!!! Ideal para compartir con los más pequeños! Gracias por compartirlo! Looks like sucha fun book! Congratulations! I love it!! Looks like a great idea book. Such a great idea for a book! I would LOVE to win a copy!! Congrats on your pages – the pics are beautiful! What a great idea for ornaments. I was just wondering what I could have my four year-old do for Christmas this year. Thanks! I would love this book! Just love you! Looks like a really great book. 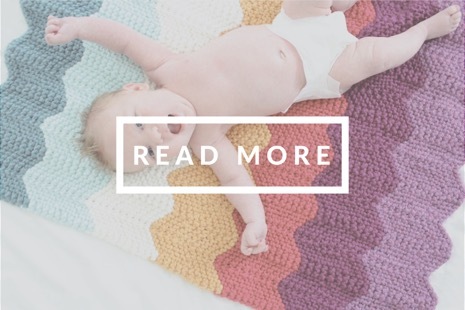 Love your blog (my third child is 10 months right now) and I love your projects. Way to go! This book looks theres alot of fun things to do with my kids. Book?? yes!!! ornaments?? yes!!! thanks for such a fun giveaway. So cute! I need this book. Will be buying it if i`m not a winner. How fun to see yourself in a book! Congrats! And, thanks for the chance to own one! This would be such an awesome book! Love the idea of this book! I have a 4- year old boy and taught myself to sew this summer. 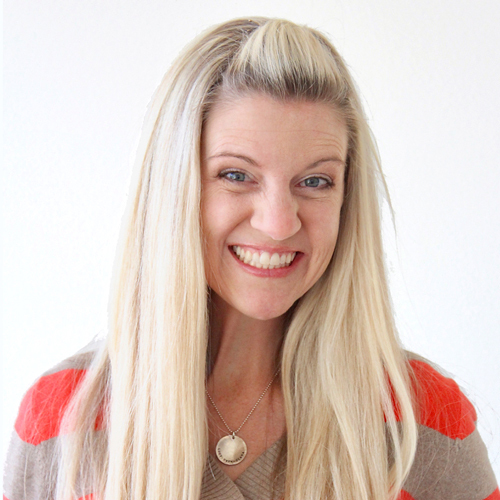 Your blog is so much fun and so inspiring!! This book looks like a lot of fun!!! How absolutely darling! This is a great book concept, too! I love books like this. It’s always fun to see a snapshot of creative people’s lives. Love the quote too. What a lovely book! I would love to have a copy, or some of those darling homemade ornaments. this book looks awesome! i love crafting with my children… mostly we paint, they love painting anything they can get their hands on! always love to find new ideas and ways to create! No kids yet but this would be AWESOME to do with my nieces! Thanks for the chance to win, the book looks awesome. Wow, that looks like a beautiful book! I’m putting it on my christmas list right now! Fun book! I could use some new ideas! This book looks like a ton of fun. Thanks! Wonderful! Was just looking for a book of ideas of stuff to do with my kiddos. Thanks!! What a delightful book. Thank you for the chance. With two littles, this book would definitely be a keeper! Looks like a fun book…would love a chance to page through it! Beautiful book! Thanks for the chance. Oh wow, this book looks lovely! I’m not a mom yet, but I have fond memories of crafting and creating with my mom. “I can make that!” was our shared phrase! She always allowed my artistic spirit to soar! I try to harness her spirit when I craft with my Godchildren. I’ll take a book of craft ideas over pinterest any day! And I LOVE that quote too. We’d love to have this book at our house. My 4-year-old especially is always asking me if we can do a “project” together. So fun! Would love a copy to share with my little guy — can’t have enough craft ideas and inspiration when you’re a stay at home parent!! If I don’t win- which I probably won’t- I might have to put this on my Christmas list. Looks like quite the amazing book! Wow, two books in one year! One by just you and one you contributed too. I have the fabric book and this would be a nice addition, thanks. The book looks great! I would love to win a copy! Such a great book idea, I would love to win! Wow! What a fabulous book, thanks for sharing! Ohhh I sooo need this right now!! Fantastic! This book is on my christmas list! What a beautiful book! Looks like lots of fun. I do like the yellow cardigan too. Ooooooh! How wonderful! Keep inspiring us:) How DO you do it all??? First time visiting your blog and I find this giveaway! I wish I had time to craft and sew and I just don’t understand how other mothers can find the time! It amazes me! My boys are getting interested in doing certain crafts though so I am able to do some with them and that is pretty rewarding for all of us. Oh pick me, pick me! I would love to win this book! If I don’t win, it is going on my Christmas wishlist. Thank you for the giveaway! 1072) Nicola @ Make. Think. Sew. 2 books in 2 years…awesome!!! Keep it up Dana. 🙂 thanks for the chance to win! Oh PICK ME!!!!! Is this your second book that you were talking about!?!?! 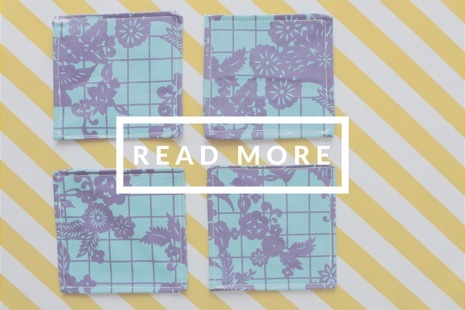 This looks so cute, I absolutely love your book Fabrics A-Z. Those ornaments are super cute, some I would love to share with my preschoolers. This looks like a splendid book! The book looks great! I would love to win a copy-or some ornaments! Congratulations! i really like that quote. Thanks for sharing. That book looks really fun! What great pictures of you and your kids too. What a great idea for a book!! Love it. All beautiful! Will you send the book to Argentina? My sister happens to be Rachael Penman! I was visiting her a month ago and got a speak peak at this book! It is a beautiful and inspiring book and Rachael captured your fun and modern style that I love. Kudos to both of you! I am so proud of my sis! I would love to win the book. I love doing crafts with my 4 girls. This looks really great! Thank you for hosting a giveaway! Caring for five grandchildren throughout the week —- your book would be a godsend! Love the ornaments. Can’t wait to see the book! i must create that keepsake pillow of my children’s artwork!!!! what a neat way to capture it and this book looks absolutely lovely! Would love to be entered please!! The book looks great- so inspiring!! This looks like such a fun read! Count me in! Love it. I already have my tot dying to sew with me. Most the time we pick up scraps and just mess around. Thanks for a chance to win this fun book. Oh well done, what a beautiful book! I’d love to win a copy, though as I never win anything ever, I’d also be very happy with some ornaments 🙂 Thank you! this book looks RAD maybe i could save up and buy one, as the odds of getting one FREE here are a little low…. Thanks so much anyway!! What a beautiful book. I would love to win this. I’m always searching blogs looking for ideas to craft with my kids… here there are so many all in one place! It looks like an amazing book! Awesome! If I don’t win this book, I’m totally buying it! I’ve been thrilled that my grandson (age 4) is interested in sewing. We don’t live close by so our opportunities are limited, but after trying it just once, he is full of ideas for things to make. He’s an old hand at choosing fabrics now, and lets me know exactly what he wants me to make for him between visits. I love it! I would love to get them. What a lovely inspiring book! I would love to check it out! Great book. Would be perfect inspiration for our school’s holiday bazaar. Awesome giveway! This book makes me wanna get all crafty 🙂 Good luck to everyone! Awesome book! My kids and I would love it. I love this and hope I am lucky enough to win a copy! Thanks for yet another great giveaway. Too tempting not to comment when there is a giveaway! 🙂 But the book does look awesome and I always love finding new, great bloggers to stock away more projects and ideas. Thanks! Love to find ideas to craft with my 3 year old daughter,keeps the tv off and get to have quality time together doing something fun and usually educational for both of us! She is just starting to create her own style of doing things and it is just amazing watching her grow and learn through art. Great book idea and those photos are too cute. Thanks for another great giveaway! love the book! Put it on my Christmas list already! Oh that book looks lovely, I’ll definitely have to check it out! Anything done by Jenny is great to have! This looks like such a great book! Its on my amazon wish list now. How cute! Would love this as my little baby is a toddler and we have a new little one! They grow up too fast! Que hermoso giveaway! me gustaría mucho ganar uno de estos libros para inspirarme y realizar lindas artesanías con mis hijos. Would love to make the keepsake pillow with my daughter!! Darling! The book looks wonderful, and what a compliment to be featured. This looks like so much fun! I love your blog. looks like a great book- I’m in need of some ideas to craft with my 3 year old. Sooo lovely. When will this happen in Italy, too? The book looks really fun and interesting! Well, I do not know central time, so I do not know if I am in time or not but I try… I love your blog and it is in my favorites, you gave me a lot of ideas. Thank you. Congratulations on the book by the way! I love that quote by Elder Uctdorf. It’s been one of my favorites for a while! Would love to win this book. Making a decision to do more with my kids and this book will help start that journey. Absolutely love it:-)Great for Christmas ideas!! OOOHHH! I would totally love this book!! 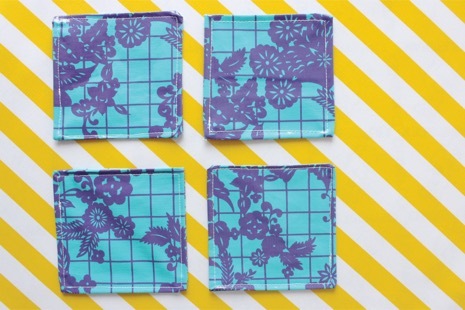 Looks fab with all those gorgeous pictures, bold colors, and totally cool craft projects. Have loved your blog for years…what a great book! Crafting with my son sounds fun to me. I hope he likes it as much as I will. Looks like such a fun book with lots of fun projects! This book would be great for my two sons! Perfect!!! Please enter my name… my kids are all grown, but I would love to gift it to one of our dear children who have children of their own to start crafting with! So exciting to have a look to see what you’ve been up too! Thank you for the chance to win! I really enjoy your blog! Your ornaments are so cute! I’d love to have some fun with this book. Looks like a neat book! I’d love a copy! I saw this in the library and loved it. I had planned to make the ornaments without realising they were yours! Thanks for this. I have sooo much fun following your blog, Dana. Thank you for all the work you put into it. This would be a great book to get a peek at! It sounds like a fun read! I would love to make your project from the book for our local Christmas market in support of a charity project. So please send me a copy!!! Target sweaters rock! The book looks so fun. Thanks for the chance to win your cute ornies. What an inspiring book – it looks like a lot of great projects from all of my favorite people. Beautiful book! I wish might I win..
Congratulations and thank you for the chance to win a copy. It looks beautiful!I think my kids would love it!! Would love a copy of this book. My daughter is at the perfect age to start crafting with me! As always, thanks for blog… you are inspiring! What a fun book! My kids love crafts. Cool book! Thanks for the opportunity! I would LOVE a copy! I hope I win! Awesome! how wonderful to be a part of something like this. wow great books. I hope i can win this !!!! Happy Thanksgiving from Canada, too!!! Wow! That book looks great! Congratulations! Fun! My daughter and I would have a great time doing such fun projects 🙂 Congratulations! This looks like a fun and colorful book! Would so love to win it! Thanks for the chance! I would love to win something! Looks like a great book for Moms and Grandmas! Love kids crafts…..easy and so doable in a few! The bright happy colors in the book are irresistible! Looks exciting! I’d love to have one to share with my munchkins! It looks like a great book and I would love to have a copy! EXQUIsITE! I can’t wait to get my hands, eyes and creative mind on a copy! Thanks for the opportunity! How cool! A book about moms who blog? Perfect. I’d love to read it! What a brilliant idea! Sounds like a great book! And those ornaments are so cute! Thanks for the chance to win. Looks like a fun book! Congrats on being included! Love your book!!! Loved that you added Uchtdorf’s quote about the desire to create. Hope to win a copy. that quote is one of my favorites as well! I would love to get my hands on a copy of this book and read all the inspiring words, and craft away with my kiddos! I would love to win this book! Thanks for hosting the great giveaway! oh my gosh! i miss your blog for a few days and ALMOST missed this opportunity for a chance to win!! YAY! That quote from Elder Uchtdorff is fantastic I think I’ll have to write that one down. This book looks awesome. I would love to share this book with my son! …open to anyone- even to bloggers from Austria?? I´d love to win a copy – love your blog and read most fof the blogs mentioned in the book- just checking out the few I dindn´t kow yet! Dana – your quote could not be any truer – I feel my happiest during and after my creating time which is the time that always gets cut due to other obligations from job and family. 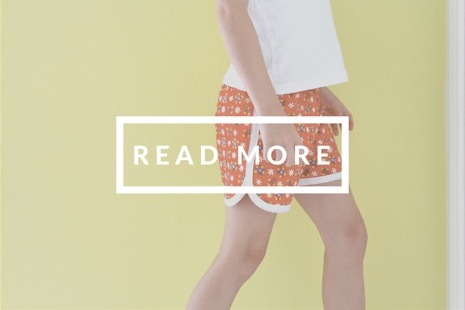 I love to read your blog and have made your simple skirt for my niece since my daughter is a teenager and declared she is too old for a twirly skirt (gasp!!) But you have inspired me to make some dresses for her. We found a pattern at Joann’s and are adapting it to fit her vision. Can’t wait to really get into this project now I just need time!! Thanks for all your inspiration! This would be a great time to receive such a lovely book. Now that my boy is into the age of crafting… and the weather getting colder and colder…. I’d just love to win one that is being sent to me to far away Hungary!!!! I just bought this book! I was at hobby lobby, flipped through it and saw a few of my favorite bloggers. Fun little crafts. So I bought it. Good job. I am passionate about creating with fabric! I hope that I win!! Yahoo! That is one handsome book. LOVE IT! Beautiful book! I love it already!! I would love this book! My daughter and I love doing crafts! Love the handmade ornaments as well. Oh, I think I’d love that book! Wonderful ideas and pics!! Thanks for sharing and offering to give away this awesome book. I love doing crafts with my grandchildren. This book would be great. Very cute ornaments! I love doing hand made tree ornaments. Love the way you make things look so easy to sew! my 2nd baby is home! and I’m ready to sew.